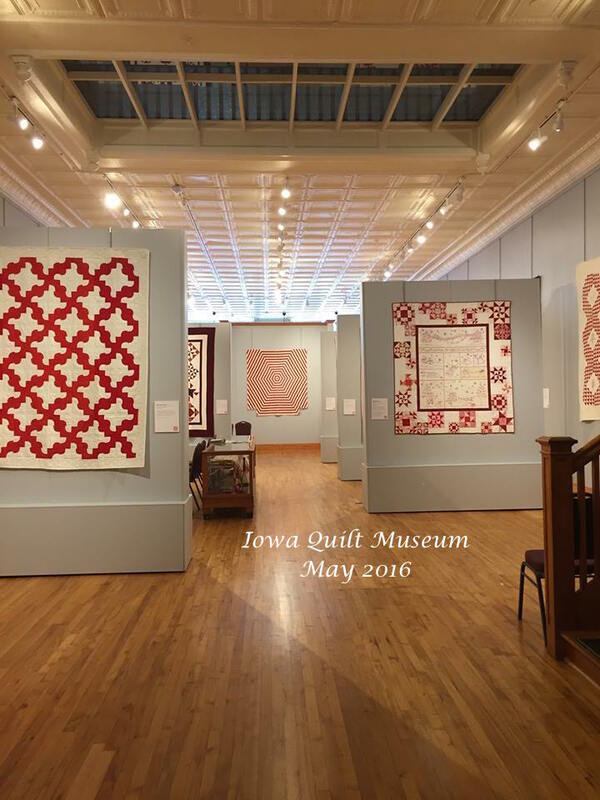 The Iowa Quilt Museum is now open. Located on the historic town square in Winterset Iowa, The museum is dedicated to the art and traditions of the American quilt. 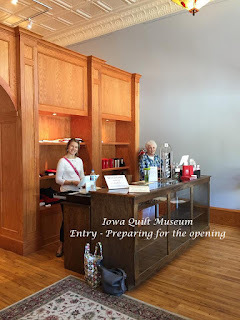 Winterset, Iowa is the birthplace of legendary screen actor John Wayne and the county seat of The Bridges of Madison County. Why not take a bridge tour when visiting? 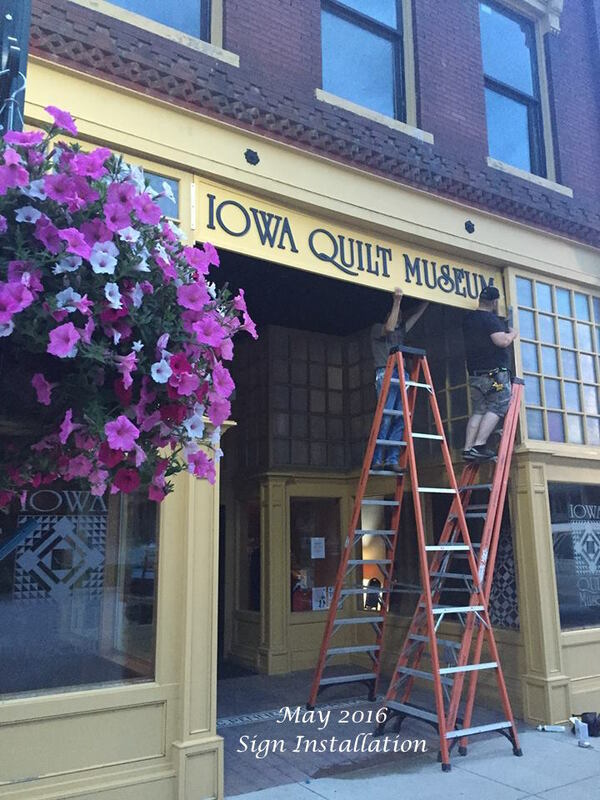 Winterset's unique downtown area was declared a National Historic District in early 2016. The former JC Penney building has been restored. This is area inside the front door, before opening. 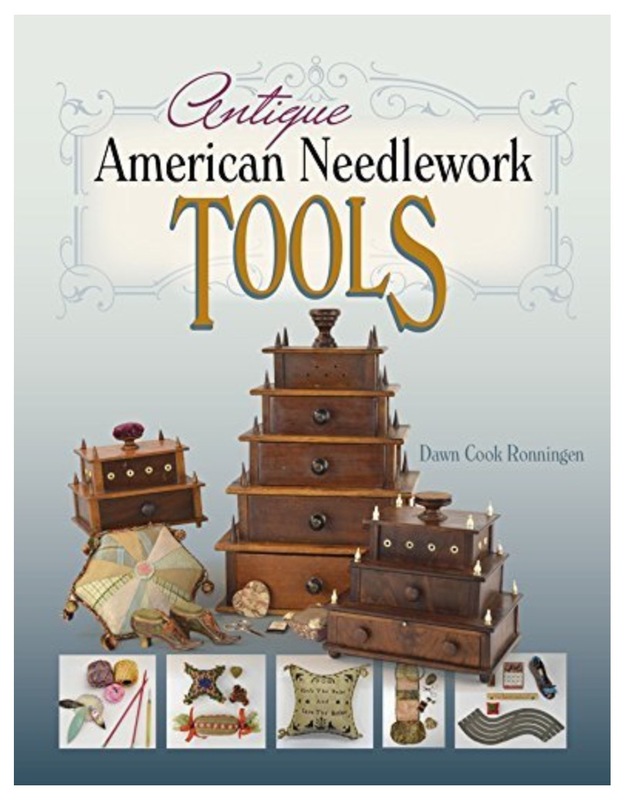 The shopping area is stocked with beautiful quilt related gifts. 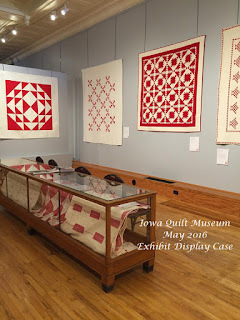 Including jewelry from Iowa quilter and artist Julie! HERE. 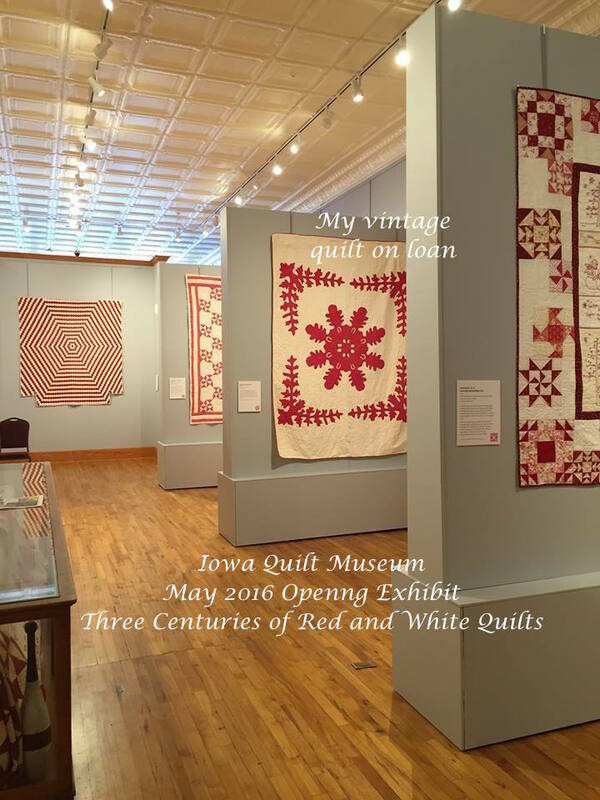 The first exhibit is, "Three Centuries of Red and White Quilts", curated by quilt collector and historian Virginia Berger. So much to see in this photo! After you take in the quilts, check out the ceiling. What about the wonderful wall color? There are a few display cases in the gallery. 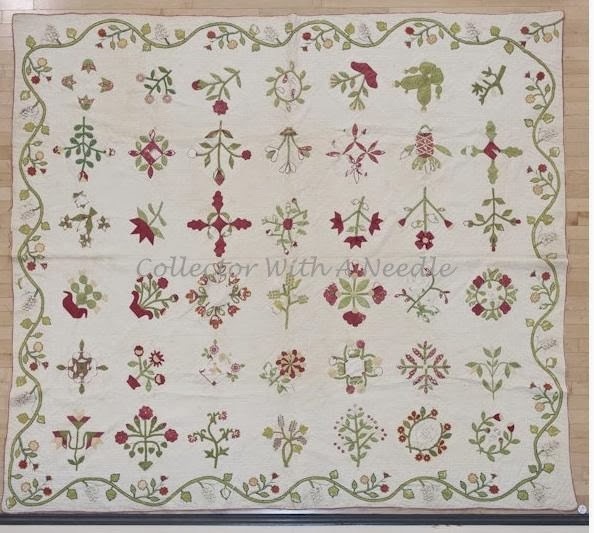 This example is filled with quilts. Between the display cases and the wall are a row of chairs. We all appreciate a place to sit when admiring the quilts. 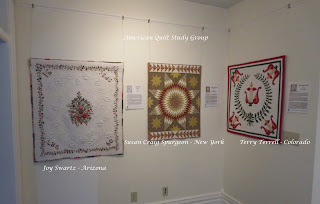 The arrangement of the partial walls allow for more exhibit space and create vignettes for the quilts. 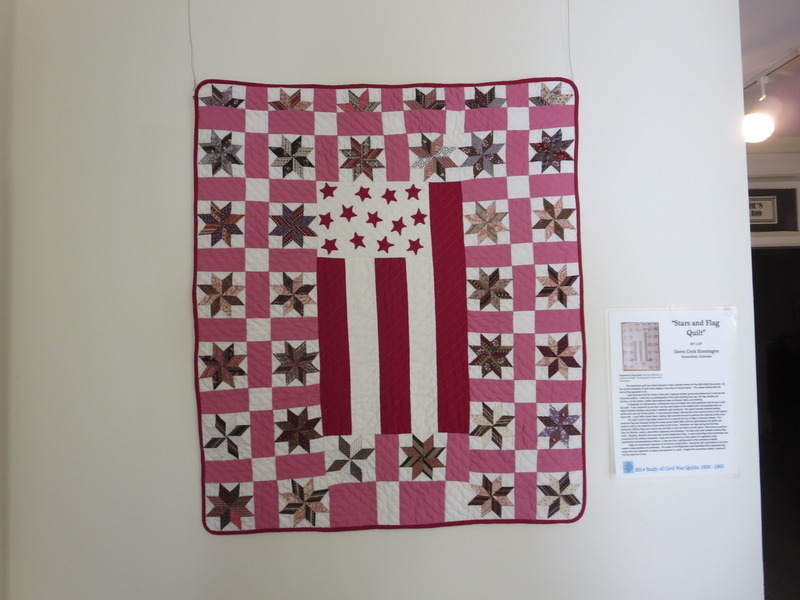 Exhibit quilts include loans from private parties as well as loans other museums and historical societies. Admission is $6 - what a bargain! I hope you have a chance to visit this new museum. Why not make it a road trip? 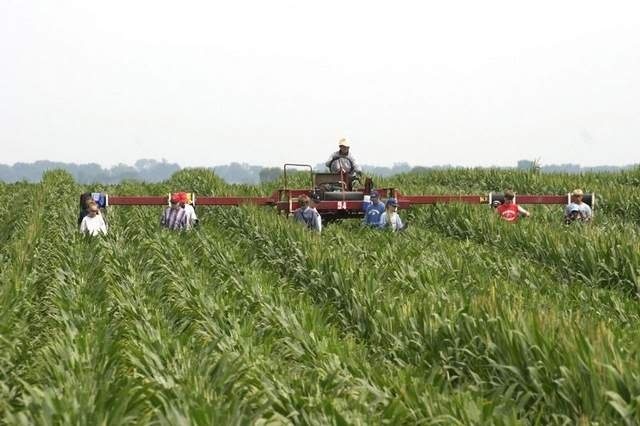 From Winterset to Kalona, Iowa is 150 miles. 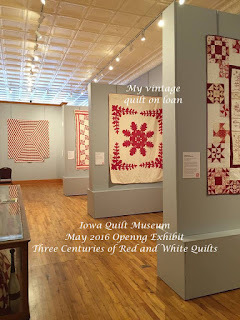 Kalona Quilt & Textile Museum HERE. Do you have an Iowa connection? I have a longer post coming about the month of May - it has been jam packed with so much fun! I didn't get my May SVBAQ block posted here until now. This is the detail from my 9" 'Boquet" as Esther inked it. You can see I used some embroidery to finish the little flower details. You can see many more finished blocks HERE on the SVBAQ blog. I hope you are having a lovely day in May! 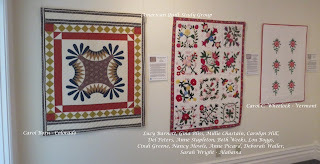 The Quilters Hall of Fame is located in Marion, Indiana. The exhibit schedule can be seen HERE. 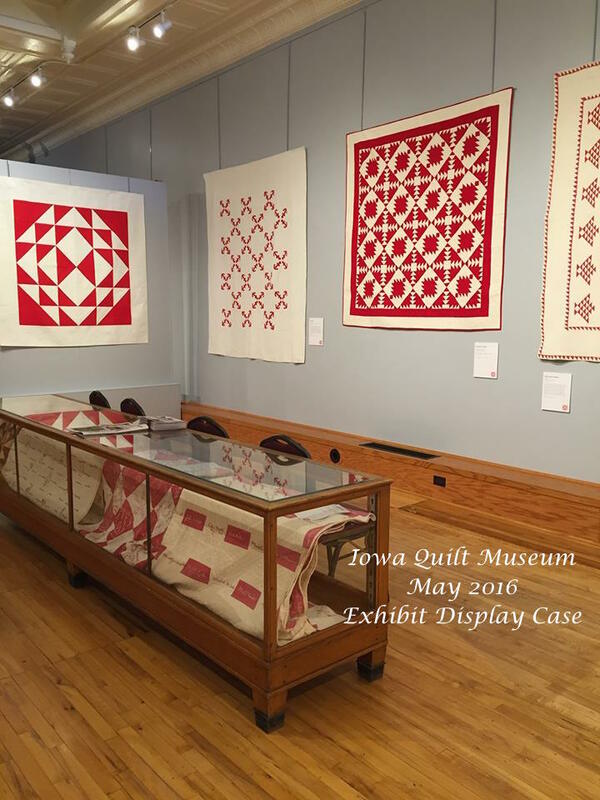 They are currently exhibiting, "In War Time: A Study of Civil War Era Quilts 1850 - 1865" - 25 small quilts reproduced with permission from private collections and museums. 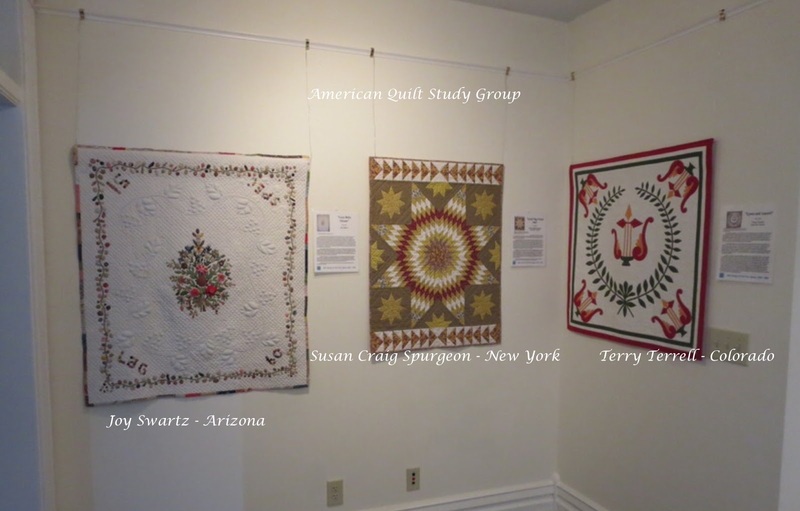 Each quilt is accompanied by a written statement that documents the study of the original quilt as well as their journey as a quilt maker. 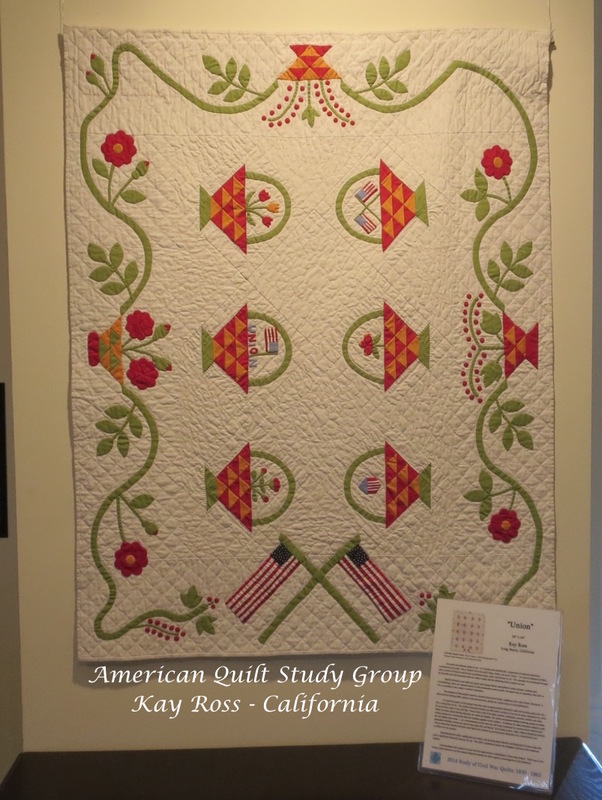 The study quilts will be on exhibit through July, 2016 in the Marie Webster House. They then move to their next venue. 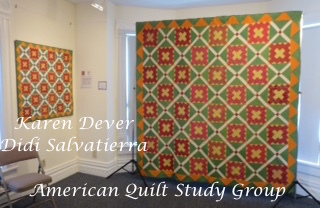 The quilts travel for four years. On June 4 - July 9 they will also have an Indiana Historical Society exhibit titled, "Faces of The Civil War". Deb Geyer, Executive Director says, "This exhibit bring to life the stories of many Hoosiers whose lives were touched, and in some cases taken, by the Civil War and illustrates how regular people coped with the tragic experiences of the day - all from an Indiana perspective." 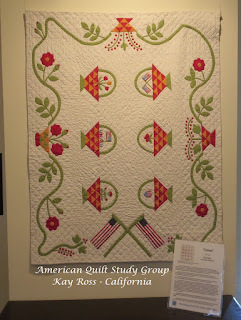 If you are in the area or planning a trip, you might also be interested in attending Celebration 2016, (July 14-16) when Carolyn Mazloomi will be inducted into The Quilters Hall of Fame. 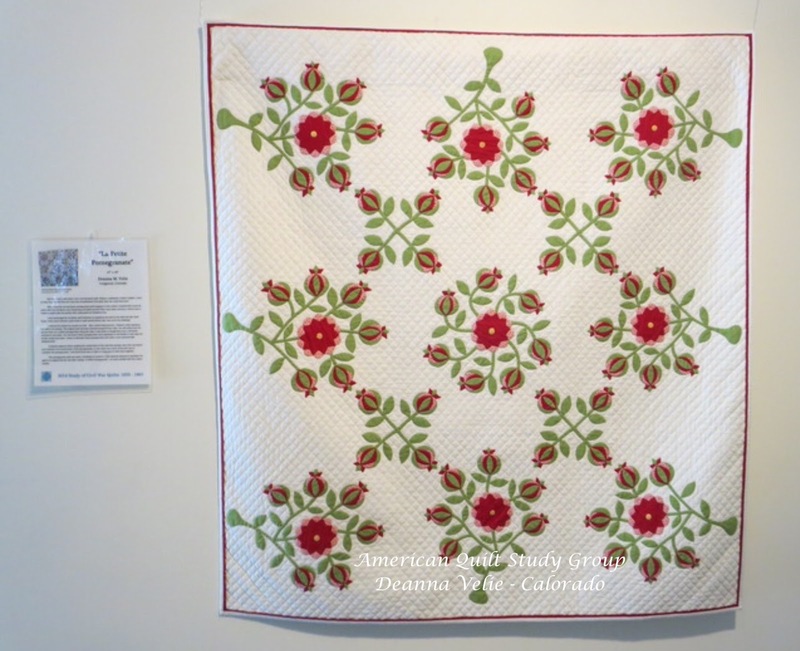 The 25 quilts represent a wide variety of techniques from quilters across the country. 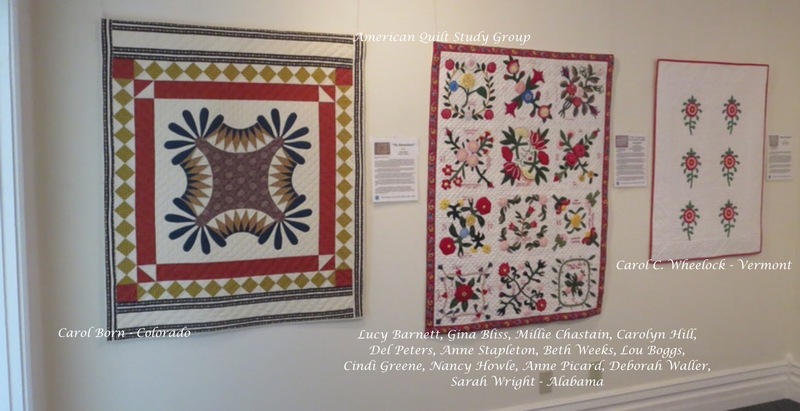 The next study theme is "Baskets", the 50 entries will be shown at the annual American Quilt Study Group Seminar. Some of the entries are group projects. I think you will enjoy the variety of works in the exhibit. A special thank you to the many volunteers who make this activity possible. In addition to the team of AQSG volunteers, thank you to each location who participates in the program. 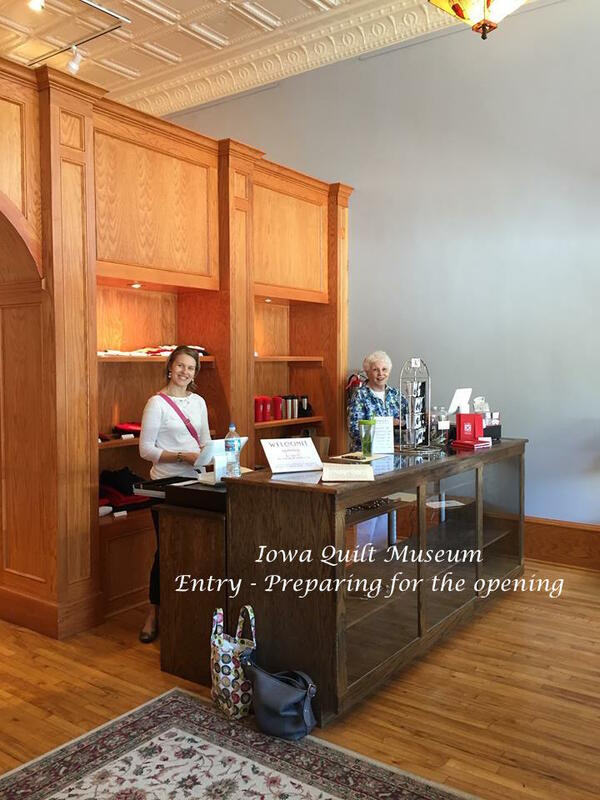 At The Quilters Hall of Fame - Executive Director Deb Geyer, Exhibits Coordinator Sherry McConnell and the many volunteers who make it all possible. Photos courtesy of Dale Drake. 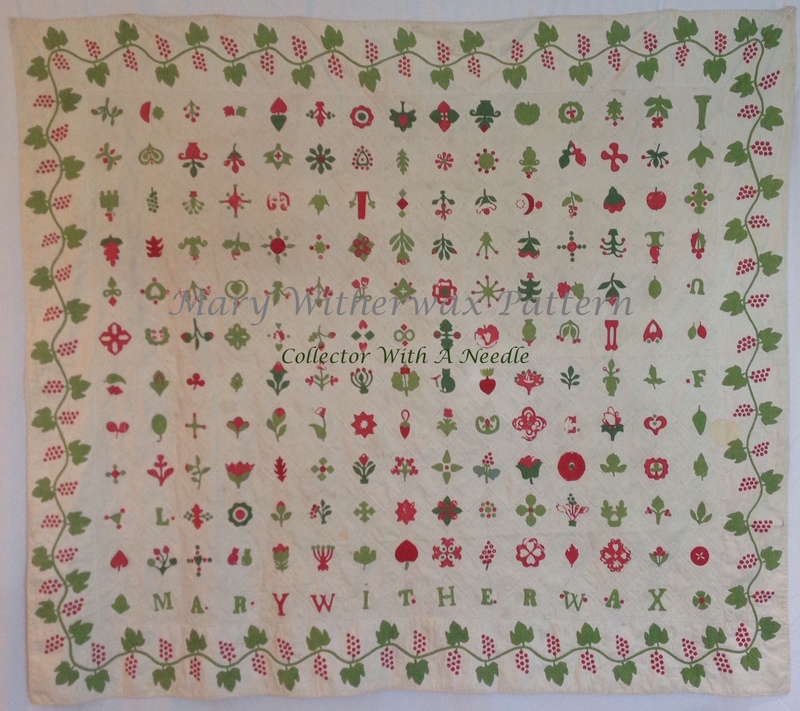 The companion book, "In War Time: A Study of Civil War Era Quilts 1850-1865" is still available HERE. 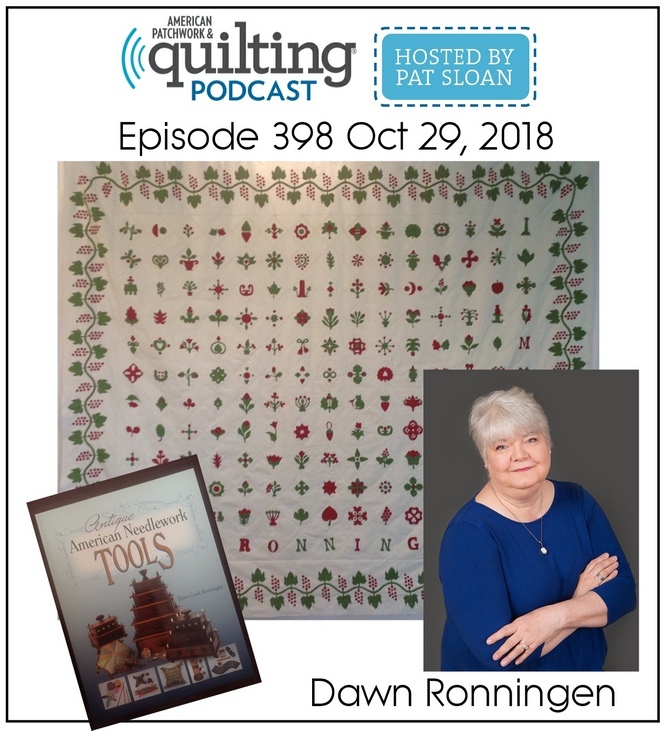 It includes all 50 fabulous quilts. Have you seen the exhibit? Are you going to the exhibit? Are you participating in the basket study? 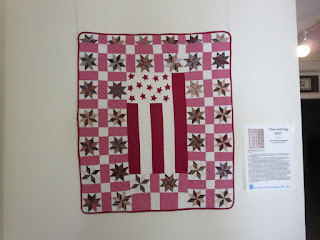 Yes, my little flag quilt is also in this exhibit!